Personal training with an iOme trainer is a completely different experience to what you’d normally find in a mainstream gym. We don’t put you on a treadmill or a cross trainer for an hour (because at our indoor garden's cross trainers and treadmills are banned!). We do however take a holistic approach to your fitness needs and go the extra mile in formulating a long-term plan that gets you the results you want. We do this in the fastest way possible in a safe, sustainable, and achievable way and taking into account your lifestyle and commitments. At iOme Fitness getting you to where you want to be is what matters to us. Yes, we’ll take you outside your comfort zone but that’s exactly where you’ll begin to see those physical changes. 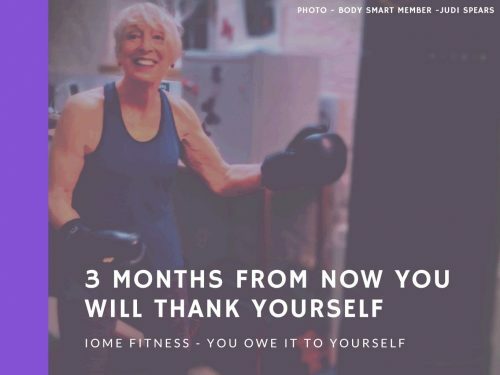 With free personalised nutrition support in and out of sessions you’ll begin to understand why personal training with iOme Fitness is a cut above the rest. We’ll train you in a location to suit you whether that be indoors, outdoors, at work or via Skype and we’ll always have a solution that’s results driven and that you’ll love. Ready to get started on reaching your goals? Contact us and we’ll invite you for a consultation at our indoor garden studio in South Petherton, Somerset where we’ll get to know you so that we can match your needs to the perfect iOme trainer for you. Don't forget to head over to google reviews to see exactly what our current and past clients have had to say about us. Follow the life journey of Personal Trainer Charlie Fardon as she shares her love of nature and brings Health, Fitness and Nutrition to you in her lifestyle blog.